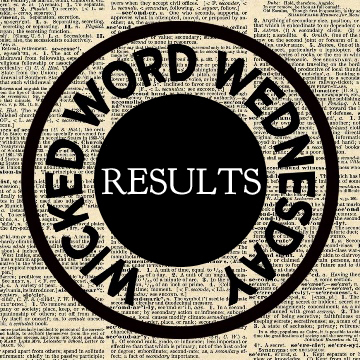 Thanks to everyone who participated in Wicked Word Wednesday. This past week we had 6 entries – w00t! Very well; the winner this week is . . .
His transformation incomplete, he sank to his knees, exhausted. With one talon extended, he scratched in the sand: “I am still a man.” The pain began again and he cried out in agony as the rest of the talons erupted from his fingers. Her talons gleamed in the sunlight. A warning for what was to come as she slowly sat back in her seat, a cheshire grin stealing over her face. She knew what she had to do now. It was as clear as day. The stoplight downtown hates me. I know there’s many lights people get annoyed with, but I’m talking specifically about the one by the courthouse and the old bank and the building where the aldermen meet – the one right before the roundabout. How do I know it hates me? OK, always is a slight exaggeration. I kept a list over the past month or so, and the light is only red 94% of the time. Still, that’s a pretty high percentage. It’s even more annoying because most of the time – any by most I mean 9 times out of ten – I’m coming through late at night. I am literally the only one on the road, no-one else is waiting for the light, and as soon as I leave the roundabout it’ll turn yellow and force me to stop in the middle of the night for nobody. It used to be that the lights downtown were on a timer and after 10.30 at night they’d change to caution lights. Now, I must suffer the capricious whims of this apparently sentient traffic signal. Thankfully, I won’t need to go that way today.